Paprika is used throughout the world to add colour to rice and curries as well as a mild, tangy flavour to any dish. 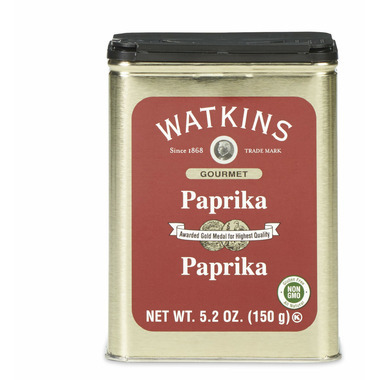 A classic for garnishing deviled eggs and potato salad, J.R Watkins Paprika can also be used in rubs and chilis as well! Ingredients: Paprika, not more than 2% Silicon Dioxide (added to prevent caking).